Our one day tour to the glacier is designed to fit in with your once in a life time opportunity to experience the glacier first hand. So our first objective is to get you down to Franz Josef so you can take part in one of the many activities available from the township up onto the ice. 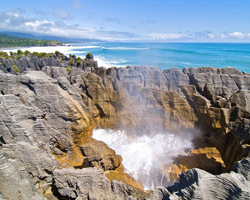 All our tours specialise in bringing the natural wonderland that is the West Coast to life thorough interpretation of the wilderness and the stories of human endeavour. 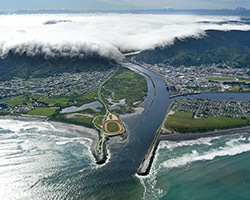 If time allows we will visit the quiet seaside town of Okarito. You may wish to undertake an activity on the magnificent Okarito Lagoon. 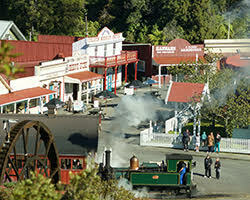 Trips cost $350 for two people to Franz Josef township and glacier walks (activities at the glacier not included). There is a group discount available. 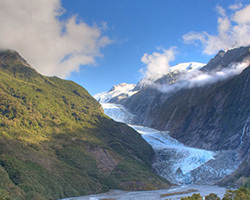 Extend your tour to Fox Glacier for an extra $100.00 per-person this includes Lake Mathieson “The Mirror Lake” and a walk to the Fox Glacier Terminal. Meals and morning tea can be made available if requested.